Check out the Wookieepedia episode description here (from where the image was taken), and the episode guide from the official site here. 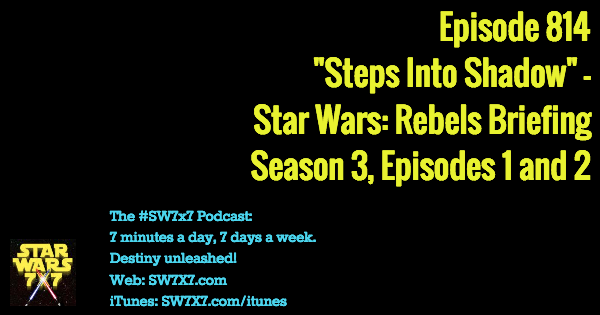 I’ll also embed the Rebels Recon episode for the season opener right below. And I’d love to hear from you what you thought about the episode. Share your thoughts in the comments! Today’s question: From what bay do Poe and Finn try to escape (while on the Finalizer)? 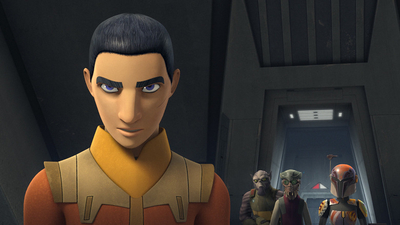 Previous Post: Episode 813: Predictions for Star Wars Rebels Premiere Night! Next Post: Episode 815: Star Wars 2020 Movie and Beyond!